Getting accepted to a physical therapy school can be a difficult and time consuming process, however if you ask the right questions before you even start the process you can save significant time during the application process and help you to avoid the unnecessary costs associated with applying to unsuitable schools. So, before you pay anything, start by reviewing these 10 questions to ask when applying to a physical therapy school. After you answer these questions, you will be better prepared to understand your profile and obtain the best admission match to a Doctor of Physical Therapy program. Is my college undergraduate GPA high enough to apply? Your GPA is often key in the competitive world of applications. When 200-500 people are applying for a limited number of spots, matching your GPA with a program’s average accepted GPA is crucial. However, many applicants fail to recognize the significance of the GPA in the PT application process. For example, some candidates may have a low GPA in the science prerequisites, yet think they can easily apply to a PT for a program with an average acceptance of 3.75. There are many differences in an accepted GPA among the programs. It is imperative that you are realistic when it comes to applying to the schools that will consider your GPA; this will help you reduce frustration and avoid wasted application fees. For additional GPA guidance, download the free PT Success Guide. Also visit the school search page where every school is listed with the overall minimum required and overall accepted GPA. Have I completed the correct college undergraduate prerequisites? This is an important area that is often overlooked by those who limit their focus to one or two schools. There are multiple variations in what each school requires of their prospective students and these variations can make a big difference. For example, if you have one or two poor grades that hurt your overall GPA, you may be ineligible for some schools; likewise, other institutions may fail to consider your application if you have not completed one of the prerequisite classes. In addition, most schools have a formula for retaking a class that can either help or hurt your GPA; it is essential you know the difference and only apply to the schools for which you are eligible. Some schools replace the class, while others average the grade. This can really help those who are on the lower end of GPA acceptance. How can you match your GPA to a school’s requirements? For more guidance see PTGrad.com > School > Prerequisite > Resources. Do I need a bachelor degree to apply? Over 170 schools of the 226 DPT schools require a bachelor degree. As most programs require a bachelor degree, the pool of possible program matches increases for those candidates who do have a current degree. However, all is not lost if you do not have a degree; Ptgrad.com has researched what it takes to apply to all the schools that do not require the completion of a four-year degree. These schools are limited but they do have a possible program for you, if you don’t have a degree. To find out if the DPT program you’re interested in requires a bachelor or just prerequisite classes, see ptgrad.com > School > Prerequisites. How does the GRE affect my application? Those schools that do require a bachelor degree need to differentiate one candidate from another, especially when many of the applicants have almost identical GPAs. One of the main ways graduate schools do this is through considering the GRE, or graduate record exam. For a detailed overview of how to use your GRE download the free PT Success Guide. To find out what a particular school requires for a given GRE score, see ptgrad.com > School > Prerequisites > GRE. Note that some schools do not post details of their required GRE scores for public consumption. How many observation hours are required to apply to a DPT program? This area is not only crucial to truly understanding the role of the physical therapy profession, but also shows how serious you are about becoming a successful DPT graduate. Not all programs require the completion of the same number of observation hours, but all truly want to know if you understand physical therapy and know what you are getting yourself into when you apply to their program. It is imperative that you take observation hours seriously, as it is becoming harder to observe in hospital systems. The more hours and more settings you observe in, the wider your possible program matches. One of the biggest benefits to completing a large amount of observation hours is that you will develop a true feel for the work you will be doing the rest of your life. To find out what a particular school requires for observation hours, see ptgrad.com > School > Prerequisites > Observation Hours. How does my religious affiliation affect me? Many schools have a religious affiliation that may interest or benefit you in the matching process. There are a number of different denominations affiliated with various DPT programs that have a preference for religious-oriented applicants. Are you looking to further your education in a like-minded university? To find out how each school varies in terms of religious affiliation, see ptgrad.com > Offering > Key Points. How do established school affiliations affect me? Many schools have regional or in-state affiliations that may interest or benefit your profile. Some schools give first preference to those who already attend their school. Some schools prefer in-state applicants, or have arrangements with other schools that include easier transfer policies. It is wise to take these into account when determining programs that match your profile. For more guidance, see each DPT program’s residency requirements. This is often found in the tuition and financial aid section of a program’s website and their FAQ page. To find out more about these items, visit pgrad.com > Prerequisites > Resources and look for a FAQ link to the associated school. What area of the country can I live in? Chances for admissions to a DPT program grow significantly the more flexible you are in terms of location. However, moving is not always possible for those candidates who have families, or who need to remain in their respective state to access in-state tuition. The ability to relocate may be the single greatest asset for those with borderline GPAs or GRE scores. If you are willing to go anywhere to gain admission, Ptgrad.com can help you to choose the best colleges and programs on which to spend your application dollars. For guidance on how you can match your profile, and to see the options for those able to move, visit pgrad.com > Prerequisites > Acceptance Rate. Can I afford to get a DPT degree? The tuition costs and living expenses associated with completing a DPT degree vary enormously across the 200+ DPT programs. The price of tuition is heavily affected by in-state vs. out-of-state residencies for state universities. Some schools give in-state preference while others do not. Private institutions can be more expensive, but they also try to provide advantages for attendance with scholarship options. Cost is a huge factor that should not be ignored. There are numerous financing options available to anyone seeking to complete a DPT degree. It is wise for you to invest some time looking at the costs associated with attending each school, since you will ultimately spend between $30,000 and $100,000 dollars on your education. There are ways you can match your profile with prospective schools to reduce debt. Can you attend an in-state college? 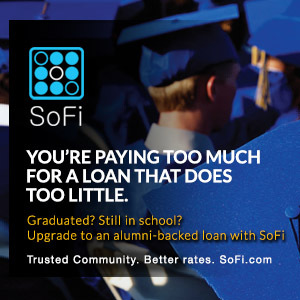 Are scholarships, grants or loans available that can reduce your out-of -pocket cost? Also, if there are multiple options, which school’s tuition is cheaper for your needs? For more guidance visit pgrad.com > Cost. Are you interested in choosing a certain type of specialty that a school has to offer, or are you more concerned about the university’s size and reputation? Do you seek a highly rated graduate school, or care more about a small class size? Do want to know what the area around the school has to offer? Each school’s strengths are highlighted on the DPT Program Profile page at ptgrad.com.